I will be explaining 10 rules to become successful in conference calls by participating and communicating well. Over a period of years the software industry has grown exponentially. That has led software development teams to be spread out across the globe. Hence, long-distance communication has become especially important and a key factor to define the success of the team. At times such client calls cause some tension, hesitation and even many software professionals feel uneasy. Regardless of your role and title, skills of professional communication over the phone is an important factor and you must know how to participate, lead and drive the conference-calls with development teams and your clients. I will be explaining 10 rules to become successful at conference calls by participating and communicating well. The first step is to understand your client or team distribution. Understand some fundamentals of their geological statistics, especially the country, city and time zone. 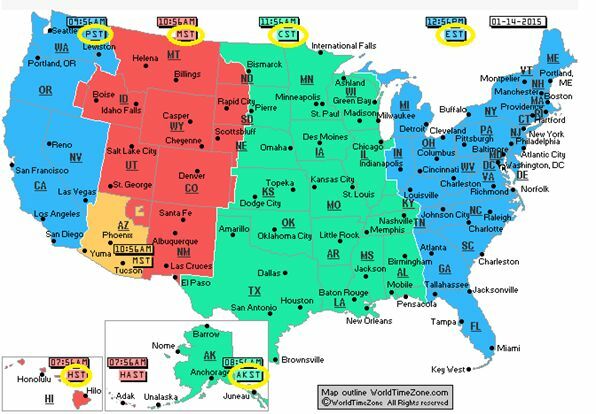 For example the USA has 6 time-zones distributed across all 50 states of the USA (the 48 contiguous states have 4 time-zones). As you all know that any call or meeting is triggered with a meeting invitation, so look carefully at what time it's scheduled for in your local time. Software applications today like Outlook and so on are doing an amazing job of mapping the time of various countries to their local time. For instance 8 AM PST (USA, Seattle, WA) is 9:30 PM IST (India, any city, state). If you need to schedule a call with a contact and you would like to identify a comfortable time for the call then knowing the local time of the other party is very important. Time Zone Converter tool can come very handy if you need to schedule a meeting. My recommendation is to at least understand some basic facts, agenda and expectations of the call before you are all set to dial-in. If you are invited to a call, in other words you are a stakeholder by some means and you need to know as much as others do then work on all the stuff, documents, reference points and so on that might be handy during the call. Let me share another real-life story. In the USA a meeting was called with one of the largest software companies in the world. Many people were invited, Development, Test, BA, PM and so on. The meeting started and a Test resource asked the PM, what is the agenda? And the PM said, well there is no agenda, let's have a discussion. Guess what, the Test resource replied, the next time don't send me an email without an agenda. Can you do that? The greatness and personality of big people is reflected in small acts, here is what happened next. The PM asked for apologies that he didn't send an agenda and he will be mindful the next time. I know what you are thinking; is it really possible? Maybe not in many software companies. That's what we must work upon slowly. It's not about company; it's about people. You change a little and others will change. There are many companies seeking talented and cultured people. 3.1: Who the people are (their name and title) joining the call (you can get this from a n Outlook invite; I mean you can dig deeper into a name and find their title, reporting structure and so on). Note: I am not saying that after knowing the person's position, you start flattering. But my emphasis is on to take people seriously; listen to what they have to say and identify their importance in the project. 3.2: If it's a cross organization then you only see names in the meeting invite and you can't dig into their details from Outlook and so on. In such a situation you must seek more details from your manager or colleagues to become familiar with each individual participant. For instance, in your meeting invite you just see a name PersonX from CompanyY. Try to dtermine who this PersonX is. Especially his/her title and role in the project. Many times you may not take that person seriously on the call, but that person might be a major stakeholder of the project. You might even forget about some big-shot. How about you ask for help from the person on the call that day. Besides, you lost the chance to show that you are interested in them and their project needs. It's always nice to join a few minutes early rather than being late and ask for apologies. Besides, joining early can reap unexpected benefits. I have tried this at various instances. 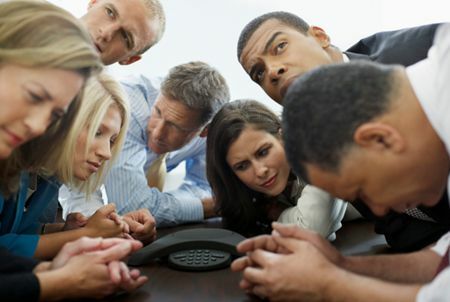 Many people have a tendency to dial-in and hang-on until the remaining people join the call. I have been an early call attendee and I always utilize that time to meet and greet the people on the call, get to understand a little bit more about them and build familiarity. Well, as a software developer you might be participating in a regular daily standup/status meetings/calls. Then meeting new people might not be a usual scenario very often. I still recommend that you join early; let me share why. Well, I worked in distributed scrum teams for a long time and we had a daily standup around 6:30 PM IST every day. I have used those few early minutes to gel with the Technical Director, Developers and even Business Analysts to clarify my doubts, remind them about code reviews waiting for their approvals and even ask what a developer/architect meant in his code review comment and so on. And let me remind you that all this was not in the agenda of the call. I have attended so many calls and learned that saying a person's name correctly is very important. Let's discuss some best practices. If you can't pronounce a name then ask your colleagues how to pronounce the name of this person correctly. Or many times listening to the person saying their name could do it. But this might not always be a scenario. If there is no one that can help you with this and you have a call with a person named “Burzynski” and you are not sure how to pronounce their name, then this is how you can do it. Start with “Hi“ followed by your best pronounciation of the name of the person. This is <your nickname>! And I apologize if I mispronounced your name. The person whose name you just messed up will not feel bad now, since you tried the best you could and also apologized upfront. Now that person will help you to pronounce it right. Another real-life scenario, once in my team a new candidate joined and he even messed up the Technical Director's name yet it was very simple. Maybe he was nervous, but what I noticed was that he called his full name out and he messed up the last name. To be honest, in a team environment you don't need to call out the full name (First name and Last name), call by just first name or their preferred name and that will serve the purpose and in such cases will certainly surely cause less damage. 6.1. Cut your name short for your client and onsite contacts. Let me share this; my name is “Vidya Vrat Agarwal”. It's hard for many people to say my name “Vidya Vrat” so I introduce me like this” Hi everyone, this is Vidya Vrat Agarwal and you can call me Vidya. See if your name can be shortened; I am sure many of you can. 6.2. Pronounce words in such a way that your client can understand. In my previous article on 10 Rules to build English communication skills for Developers, Rule #10 talks about it. So your client can make an early sense and understand you better. However, my US experience has taught that these day's even clients are able to understand various accents and speaking styles, since they are working with people from many places. But I still insist on speaking correctly and globally, so it makes a long-term positive impact on your career and communication skills. Good quality equipment allows a nice conversation and reduces noise at the other end. Well, it may not be possible for many, especially those with poor quality and beaten up headsets and so on. Let your manager know the issues with the device and try to get a good quality headset. No one likes to be on a call where they need to hear either a lot of noise, echo, or low quality voice over and over again. I have been into every situation so I can tell you that, and you might be one who is using a similar kind of device even now. You want to have a better one but can't. Well this is a pity and the situation exists in many places. This is the biggest rule of building communication skills, you should not interrupt someone when they are talking or two people are discussing something. I am sure you might have some valid argument or suggestions to be made, but wait until they are done. Here, at my work place in the USA, we have various team meetings daily and would you believe that we raise our hand when anyone of us has a point to be made, especially when others are still in discussion. Well, it's easy because people can see your raised hand in personal meetings. But in conference calls it's complicated and so don't interrupt in between and wait for those silent moments to say “Hi, this is Vidya! And I want to share my thought on what Person X and Y were referring to”. The main purpose of calls is to ask questions and understand what the team knows and what the team doesn't. My pre-sales and architect experience led me to participate in various calls with client(s) and upper management to ask as many questions as I can, so we can gauge their needs, business scenario, tools, technology, expectations and so on. I clicked on it and found that its “Organizationally Unique Identifier”, after that again when I found it's appropriate to speak up, I said “Hi, this is Vidya again! 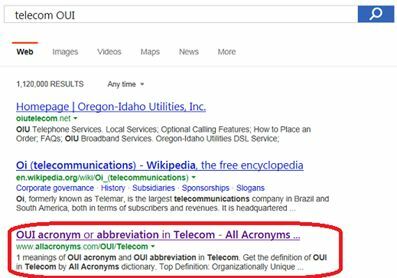 I searched and found that OUI is an abbreviation for “Organizationally Unique Identifier”, does that make sense?” Guess what, I was right. Having said that, it's not important or you might not be in the situation to find all the answers on your own in a given time. But most important is to ask questions. It's very important that if your question has many follow-up questions then ask who you can reach out to with your questions, or if someone can be available for later conversation on the call or a follow-up meeting later. Most importantly, when you go to meetings you may come out with some learning and action items. I often have seen people joining meetings/calls without any preparation or they even walk in to a meeting room without any notebook and pen. I agree that we all are now living in a digital world, but I still find “Notes taking practice” as a biggest productivity tip and help for any person. Many times in the call someone will call out your name or say someone else's name. You can get help from this person or even get a descrition of the business requirements. Now everything is up in the air. Whom will you ask to take these notes for you or will you rely on your RAM (memory) to store it temporarily in your head until the call is finished? Well, I don't add unnecessary stuff to my RAM and bother myself. Rather I want to listen to the entire conversation with a full focus and concentration, rather than worrying and remembering previous things. Hence, I write that information into a file (my notebook) so I don't need to remember this and it will also remind me about my action item. Rule 1: Become aware of your contact's time-zone. Rule 2: Do your homework before you join the call. Rule 3: Be familiar with people who are joining the call. Rule 4: Be sure you dial-in a little early. Rule 5: Learn how to pronounce names. Rule 6: Speak slowly, sound and clear. Rule 7: Use good quality equipment. Rule 8: Don't interrupt when another person is talking. Rule 9: Don't hesitate to ask Questions.